Last week’s economic reports included readings on the Consumer Price Index, Core CPI, Retail Sales and Retail Sales excluding autos. The University of Michigan also released its Consumer Sentiment Index. Weekly readings for mortgage rates and first-time jobless claims were also released. December retail sales were 1.20 percent lower in December; analysts expected no growth as compared to November’s retail sales growth of 0.10 percent. Readings for retail sales excluding the automotive sector were also lower in December with a negative reading of -1.80 percent. Analysts expected a negative reading of -0.10 percent. November’s reading of -0.20 percent. December’s reading for retail sales was the lowest since September 2009, which was a few months after the Great Recession ended. Retail Sales excluding Autos also had a negative reading of -1.80 percent; Analysts expected a reading of -0.10 percent based on November’s reading of -0.20 percent. Retailers traditionally rely on December’s holiday season to cover sales shortfalls throughout the year, but the government shutdown and fears of economic slowing kept shoppers away in December. January’s retail sales reports were delayed by the shutdown according to MarketWatch. January’s Consumer Price Index was unchanged from December’s reading of 0.00 percent; analysts predicted an increase of 0.10 percent, but inflation stayed flat. Lower gas prices were credited with keeping inflation low; the reading for the Core CPI was positive with a 0.20 percent increase that matched expectations and December’s reading. The Core CPI reading excludes volatile food and energy sectors and did not include lower gas prices. Freddie Mac reported the lowest mortgage rates in a year. Rates for a 30-year fixed rate mortgage averaged four basis points lower at 4.37 percent. Rates for 15-year fixed rate mortgages averaged 3.81 percent and were three basis points lower. The average rate for a 5/1 adjustable rate mortgage also dropped three basis points to 3.88 percent. Discount points averaged 0.40 percent for fixed-rate mortgages and 0.30 percent for 5/1 adjustable rate mortgages. First-time jobless claims rose to 239,000 claims as compared to expectations of 225,000 new claims and the prior week’s reading of 235,000 new claims filed. The University of Michigan’s Consumer Sentiment Index rose in February rose to 95.5. Analysts expected a reading of 94.00; January’s index reading was 91.20. The increase in consumer sentiment could help boost the housing market as uncertain economic projections can sideline home buyers. Housing markets improved somewhat as supplies of homes rose and buyer demand eased. 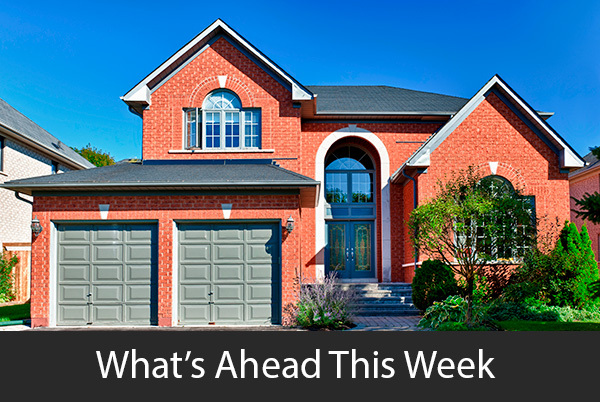 This week’s scheduled economic reports include the National Association of Home Builders Housing Market Index, Minutes from the most recent meeting of the Fed’s Federal Open Market Committee and Existing Home Sales reported by the National Association of Realtors®. Commerce Department reports on housing starts and building permits issued will be delayed according to MarketWatch. This entry was posted in Financial Reports and tagged Financial Reports, interest rates, mortgage rates by BJ Kirkpatrick. Bookmark the permalink.